Leading Manufacturer of briquetting machine, white coal briquetting machine, automatic briquetting machine, agro waste briquette making machine, briquette making machine and briquetting plant from Rajkot. Power consumption 32- 35 units / Hr. Production Capacity: 1800 Kg Per Hr. 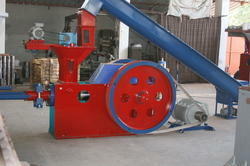 We are the leading manufacturers of White Coal Briquetting Machine.Briquettes are one type of white coal. Briquettes are cheap and non-pollutant compared to coal. 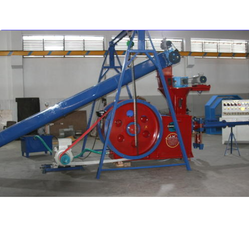 JAY KHODIYAAR MACHINE TOOLS manufactures 3 types of briquette machines according to production capacity, raw material and also according to the requirement of our clients. The machines are:1) SUPER 652) SUPREME 753) JUMBO 9075Machines produce briquettes from different types of raw material like saw dust, rice husks, wooden chips, coconut shells, coffee husk, etc. All these raw materials are agricultural wastes. 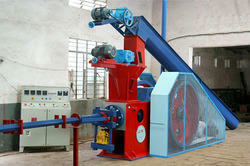 Our machines convert all these wastes (biomass) into briquettes. 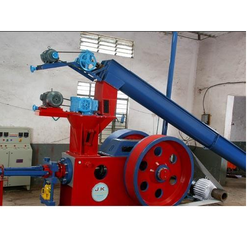 JAY KHODIYAAR MACHINE TOOLS is a leading manufacturer of biomass briquetting machine. Briquettes are one type of white coal. Briquettes are cheap and non-pollutant compared to coal.JAY KHODIYAAR MACHINE TOOLS manufactures 3 types of briquette machines according to production capacity, raw material and also according to the requirement of our clients. 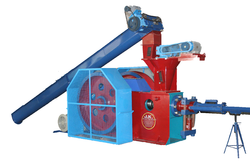 The machines are:1) SUPER 652) SUPREME 753) JUMBO 9075Machines produce briquettes from different types of raw material like saw dust, rice husks, wooden chips, coconut shells, coffee husk, etc. All these raw materials are agricultural wastes. 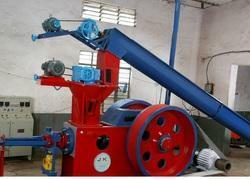 Our machines convert all these wastes (biomass) into briquettes. Packaging Details: Wooden packing with safety grills for fly wheels & motors. · Jay khodiyar machine tools is the best seller of briquetting machine in all over world. Any biomass can be used for briquettes. We can use saw dust, wood chips, cotton stalks, bamboo dust, bagasse, groundnut shell and so on.Our latest machine which we has introduced and its name is jumbo-9075. 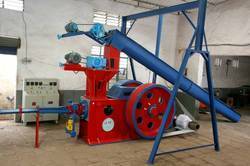 In this machine we can use any agro-forestry waste for briquettes but we should maintain two things first is size of raw material and second one is moisture in raw material. Size should be 20 to 25 mm and moisture should be 8 to 12 %. If raw material is bigger than 25 mm we have to cut is and if moisture is more than 12% so we have to dry and then after we can use this in briquetting machine jumbo-9075. . Its production capacity is 1200 to 1800 kg per hour and its depends upon raw material. If you have ground nut shells you will get up to 2000kg per hour. Briquettes will be in cylindrical shape and diameter will be 90 mm. production cost of briquettes in this model will be 550 to 600 INR. For this machine we require 2000 to 3000 Sq. Mtr. Space including raw material storage and finished good storage.In this machine no binder is required as its complete binder less technology so material will compressed by ram through taper die. In this compression process temperature will raised and lignin will come out to bind the material naturally. Jay Khodiyar Machine tools, founded in 1994, by a visionary entrepreneur Mr. Sanjay Tilala has been venture that put Gujarat on a global map. We have started our operational by manufacturing of mechanical and Ram type briquetting press and through our path breaking innovative technology today we have range of biomass briquetting plants reflects our fierce dedication to create products that inspire growth with environment awareness. Our Biomass briquetting equipment convert agro-forestry waste into high density briquettes through Binder Less Technology, which is environment friendly and may use in the option of fossil fuels like Gas, Diesel, coal, lignite etc. Main concept of this project is to produce the material as a bio-coal, which is made from the wastage. We cannot destroy the wastage totally but we can use it with the help of briquetting plant and can produce the briquettes which ultimately generate energy. ‘To provide the energy in low cost’ is the main concept of the project. Briquettes have high specific density (1200 Kg/m3) and bulk density (800 Kg/m³) compared to 60 to 180 Kg/m³ of loose biomass. We are a prominent organization, which is engaged in offering a quality proven range of Supreme 75 Briquetting Machine to our clients. The offered assortment of a briquette machine is available in customized sizes to respond to the various demands of our valued customers. Input bulk density: 140 to 200 kg/m³. 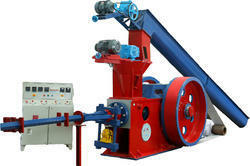 Briquetting pressure: 1200 kg/cm² for Binderless Briquetting. Jay Khodhiyar Manufactures most outstanding machine is a Jumbo-9075 model Briquetting Machine which have cutting technology and designed to deliver maximum output. 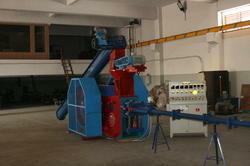 Biomass briquetting machine is one of the best machine among convert agricultural wastage into white coal. And we have designed this with latest technology and engineered to deliver maximum output. To fulfill Customer’s demand we have three variants in Briquetting machines with different output size and production capacity from small scale 65 mm to Highest Jumbo 90 mm. * Heavy structure with standard design. * Raw material acceptability up to 25 mm size. * Delivers finished products high- density with 90 mm diameter. * Cost effective by giving lowest production cost per MT. 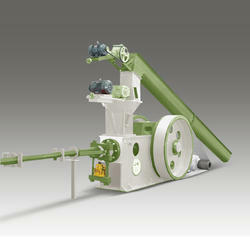 * Lower energy consumption and to direct feeding of raw material without hammer mill. * No loss of production and air pollution due to direct feeding system. * Special sensor system installed to indicate temperature of the machine. * Siren system indicates any major or minor problem in the machine. * Dust does not enter into main body. And so many other benefits that shows that Jay Khodiyar Machine Tools is one of the best manufacturer among all over the world. Biomass Briquetting Machine is simply a process of converting Agro waste and Forestry waste into biomass Briquettes / Bio-coal. The Biomass Briquetting is the best renewable source of energy for healthy environment and economy. It’s a complete Eco-friendly green energy project. We all are well aware with the importance of Energy and its sources. Energy is the key factor in the economic development of every country. The demand of energy is increasing day by day and the supplies of sources are limited. It is globally red alert for fossil fuel like Petrol, Kerosene, Natural Gas, LPG, and Lignite etc. This has made a huge gap between the demand and supply of energy. Renewable energy is the ultimate solution, which can fill this gap. Most of advanced countries has adopted this concept, accepted this project and have retained their natural resources to get the solution of energy and fuels. This renewable energy project is ideal for the agriculture based countries like India, Sri Lanka, Pakistan, Europe and African countries as there is a huge availability of agro-forestry waste. And Of course it is quite good for the industry based countries. It is the best project to generate revenue from agro-forestry waste, saving the Global environment and to produce green energy. 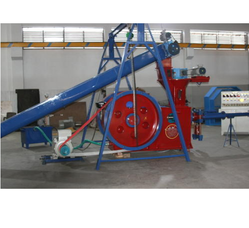 JAY KHODIYAAR MACHINE TOOLS is leading manufacturer of Biomass Briquetting Plants including Supportive Machines like Dryer and Crusher. It has spreaded its business not only in India but also overseas. We have clients in Africa, USA, Vietnaam, Europe, Pakistan, UK, Philippines, Malaysia, Australia, Mexico, etc. Government also is supporting this kind of project. It gives subsidy and also has removed taxes on it. So mobility becomes easy for business.Briquettes have more calorific value than coal. In near future, government will encourage the use of briquettes resulting in less demand of black coal as it pollutes the environment. So ultimately the demand for these machines will increase day by day. · Heavy structure with standard design. · Raw material acceptability up to 25 mm size so can be operated without hammer mill. · Easy operating system and saves cost in production. · Delivers finished and high density with 90 mm diameter. · Does not allow dust to enter in body. · No loss of production and air pollution due to direct feeding system. · Cost effective by giving lowest production per MT. · Production capacity: 1200-1800 kg/hr. · Finished product size: 90mm Dia. · Power consumption: 30-35 units/hr. 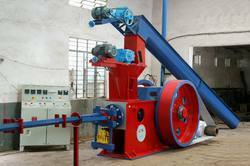 We are involved in offering a vast array of Rice Husk Briquetting Machine. 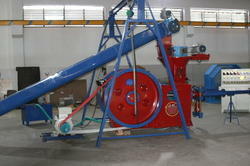 The offered product is used for converting Biomass waste to Briquettes. 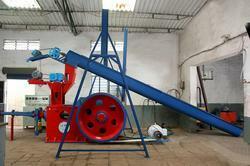 Our offered briquette machinery are made using be utmost quality components with the huge support of industry experts. After passing through all the test, this machine gives you best production and best quality briquette binding for Rice Husk. Jay Khodiyar Machine Tools is the recognized leader in biomass conversion & processing technology in India, established in the year of 1994 concentrating on design, development, manufacture, supply & installation of briquetting machines and plants with high quality. It is the novel vision of Mr. Sanjay Tilala and technical support throughout these years which has created a greener tomorrow that has been driving Jay Khodiyar Machine Tools journey of growth with a touch of green. At Jay Khodiyar Machine Tools all machines are designed, produced, assembled and tested in accordance with the standards of ISO and CE. 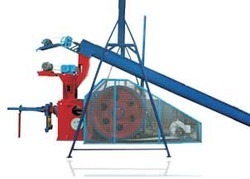 At present we are betrothed in manufacturing and exporting different types of briquetting machines, Pelleting machines with supporting machineries like Biomass crusher, Biomass Dryers and other equipment like Silo for storage, conveyor belts for automation of the process, etc. With our wide range of products, We the Jay Khodiyar Machine Tools providing a wide spectrum of Saw dust / Wood Waste Briquetting Machine. 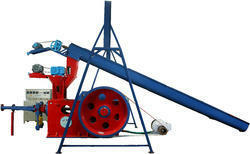 These wood waste briquette machines are offered as per the detailed needs of our valued customers. With the help of our expertise and work we have done since inception, also commitment for our clients we have successfully export our machines in 65 countries and implemented more than 3000 machines across the globe. Our Biomass briquetting equipment are used to produce renewable and high density solid fuel for applications like industrial boilers, cooking etc. using raw materials like biomass waste, agro wastes, field residues etc. This can be substitute of Conventional fuels like Coal, Oil, firewood, LPG, CNG etc. Crusher or chipper should be required. than 15 %, then dryer should be required. We have marked a distinct place in the industry by offering a supreme and quality tested assortment of Biomass Fuel Briquette Machine. We are offering these machine plants at a pocket-friendly price and within the stipulated time frame. Any kind of Agro/Forestry waste e.g groundnut shell, bagasse, saw dust, sugarcane, rice straw, wheat straw, maize stalks, cotton stalks etc, can be converted into the briquettes through Briquetting Machines. Lower energy consumption and lower maintenance cost. Can be carried in single truck load or 20 MT container. Indoor air pollution is caused by cooking with solid fuels and using old-fashioned cook stoves and fires. this makes homes dirty, causes eye and breathing problems, and contributes to deforestation. many waste materials, from sawdust to rice husks, can be turned into clean-burning, easy-to-handle fuels that cut waste and carbon emissions. these can alleviate poverty and illness in off-grid homes.biomass briquettes are the forth coming fuel in the world. it is a non-conventional source of energy, renewable in nature, eco friendly, nonpolluting and economical. briquettes are made from the agriculture waste and forestry waste. it is been converted into solid cylindrical shape. and great substitute of coal, lignite, fire wood etc. and process of converting biomass to solid fuel is also non-polluting. 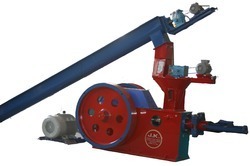 no addition of any binder / chemicals is required so it is 100 % natural.Jay Khodiyar Machine Tools is one of the top most manufacturer of Briquetting Press in the world. as we have provided 3300 machines worldwide in more than 65 countries and leading manufacturer in india. Space requirement for Project ~3000 Sq. Mt. Our Biomass briquetting equipment convert agro forestry waste into high density briquettes through Binder Less Technology, which is environment friendly and may use in the option of fossil fuels like Gas, Diesel, coal, lignite etc. 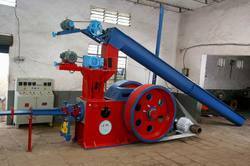 Any Agro Forestry waste can be converted to Biomass briquettes.Specification of our Briquetting press - Jumbo9075. Raw – Material size up to 25mmIf Raw material bigger than 25mmCrusher or chipper should be required. Moisture content of Raw Material 8% to 12 % If Moisture content in raw material is moreThan 15 %, then dryer should be required. Production Capacity: ~1800 Kg per Hr. 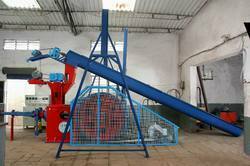 We are one of the leading manufacturers and suppliers of Automatic White Coal Making Machine. This machinery has a great significance as it process white coal which acts as an alternative for more valuable fire wood. We are one of the leading manufacturers and suppliers of SS White Coal Making Machine. This machinery has a great significance as it process white coal which acts as an alternative for more valuable fire wood. We are one of the leading manufacturers and suppliers of Industrial White Coal Making Machine . This machinery has a great significance as it process white coal which acts as an alternative for more valuable fire wood. 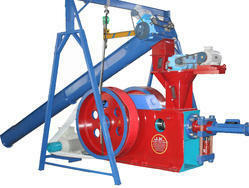 Our company has set a benchmark in offering Rice Husk Briquetting Machine. The offered range is available in various standard and customized sizes and specifications. This product is duly tested by talented quality analyzers. Briquettes are the ready substitute of Lignite / Coal / Wood in industrial boiler and brick kiln for thermal application. Biomass briquettes are Non-conventional Source of energy, Eco-friendly, Renewable in nature, nonpolluting and economical. Its made through binder less technique i.e. without the use of any type of chemical so it is 100% natural. Briquettes have the high specific density (1200 Kg/m³) and bulk density (800 Kg/m³) compared to 60 to 180 Kg/m³ of loose biomass. These can withstand the stocks of long-distance transport, Loading/unloading and transportation costs are much less and storage requirement is drastically reduced. Compared to firewood or loose biomass, briquettes give much higher boiler efficiency because of low moisture and higher density. Briquettes are high-density biomass renewable fuels that are obtained as the end product of biomass briquetting machines. They have high calorific value and less moisture content so they have complete combustion. The rising need due to rising demand for renewable energy as non-renewable fossil fuels is about to extinct. They are cheaper as compared to the other source of energy. Briquettes have the brightest future as the raw material is easily available and the end product has a huge ready market available. Due to global awareness, the demand of biomass briquettes is increasing. More and more sectors are setting up their own briquette plant to reuse the waste obtained from their industries into their industries again. The government has started providing subsidies and started giving benefits for the plant set up. They are giving us tax benefits, incentives, and much other help. The viability is thus very high. We can reproduce the investment within the span of two years. Rising demand due to increasing cost of fossil fuel like coal, wood, etc. Use of bio-coal is increasing day by day and has the very demandable market due to its fuel cost saving and pollution free characteristic. Contain high-density & Higher Fix Carbon value. Easy for Transportation, feeding & combustion due to the unique shape. Briquettes are widely used for any type of thermal application like the steam generation in boilers, heating purpose, drying process & gasification plant to replace existing conventional fuel like coal, wood ft costly liquid fuel like FO, Diesel, LDO, Kerosene etc. Use of Briquettes as a fuel for green energy has shown very promising results. Bio coal is a forth coming fuel of the world. Its a high quality asset towards economical, ecological & advanced environmental company policy.